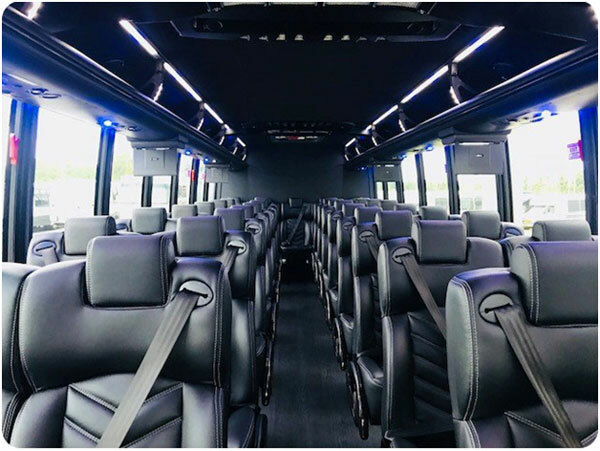 You’ve finally decided to book travel with Prompt Charters, but now you’re wondering what exactly can you do inside a charter bus? When people think of bus rides, many think of crowded, boring, and unenjoyable rides. Little do they know, a bus ride on Prompt Charter buses can be far from boring and cramped. Most of our bus models feature leather seats, and all our buses have exceptional legroom. No matter how tall the passenger is, we’re sure they will be more than comfortable. Other than comfort, there is so many ways to enjoy your bus trips. Below are what to do inside a charter bus. Even when you’re traveling with people you know, it can sometimes be awkward when put on a long bus ride together. A great first thing to do is break the ice. Go sit next to them and talk to them. By doing this, you can learn more about them and they can find more about you. You can learn about common likes and dislikes and perhaps even participate in activities which y’all both like to do. A game is a great way to break the ice and learn about your fellow bus passengers. They not only help you pass the time, but you also learn more about the others as well as the great entertainment. A few great games to play include: I Spy, We all Spy, Telephone, and Karaoke. Karaoke is a popular bus game that not only is great entertainment, but also helps you learn about others’ music talents and tastes. Do you have a college paper or work to finish? Do you just want to relax and watch your favorite show or listen to a popular podcast? Well, those might be good ideas of what to do inside a chartered bus. Oh wait, you’re saying you need Wi-Fi for your electronics? Don’t worry, that’s not a problem with Prompt Charters. Most of our bus models offer complimentary Wi-Fi. In our larger buses, we even offer electrical outlets to charge your devices. Electronics can be a great way to pass time on a long, chartered bus trip. “The more that you read, the more things you will know. The more that you learn, the more places you’ll go.” – once said by Theodor Seuss Geisel (aka Dr. Seuss). Reading engages the mind like few other activities, and it might be a great thing to do on bus trips. Like in the quote, “The more that you learn, the more places you’ll go.” Here at Prompt Charters, we encourage people to learn about their destinations by reading about them. That way, you’ll know more about the place than the average visitor. Reading is an educational pastime, and its even better on comfortable seats in our buses. All the above activities are great things to do a chartered bus ride. To learn more about the services and vehicles we offer, visit www.promptcharters.com. If you want a personalized quote, call our team at ☎ 1-877-277-6678. We strive to offer our customers the best bus trip experience as well as amazing service. Happy Traveling!